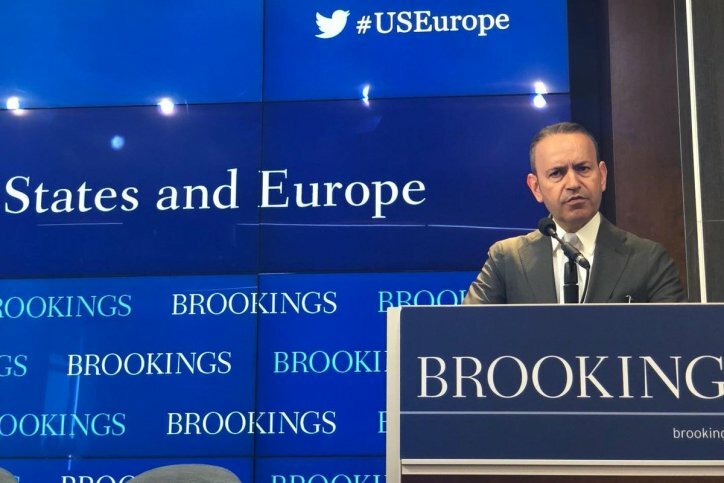 The Brookings Institution in partnership with Turkish Industry and Business Association (TUSIAD) hosted a conference on the state of transatlantic relations following U.S. President Donald Trump’s visit to Europe on Thursday, July 19th. TUSIAD Secretary General Bahadir Kaleagasi delivered opening remarks. Following Kaleagasi’s introduction panelists examined recent developments in Europe and trans-Atlantic relations, including the outcomes of Trump’s trip to Brussels, London, and Helsinki. Brookings Stephen & Barbara Friedman Senior Fellow Robert Kagan, non-resident senior fellow Angela Stent, director of the Center for the US and Europe Thomas Wright, and TUSIAD Senior Fellow and Turkey Project Director Kemal Kirisci participated in the discussion which was moderated by Susan Glasser of the New Yorker.